Lok Sabha elections 2019: In 2014 the Election Commission seized Rs 1,200 crore worth of cash and contraband. 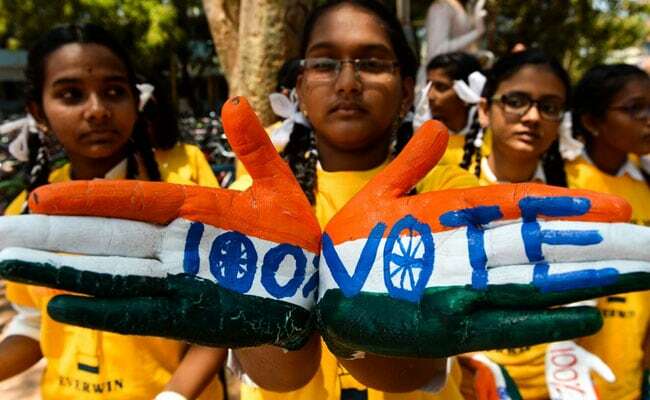 Lok Sabha Polls 2019: India's national elections began on April 11. They're confiscating as much as Rs 100 crore in cash and goods each day, as offenders use ambulances and other vehicles fitted with flashing lights to carry cash and give handouts in lunch boxes to lure voters. The Election Commission's observers, surveillance teams and enforcement agencies are raiding airports, highways, railway stations, hotels and farm houses if there's a suspicion of illegal money. They keep watch on financial brokers, cash couriers and pawn brokers engaged in the movement of cash, check vehicles crossing state borders and open bags on buses to search for bribes in order to ensure a fair vote. "It is becoming a menace and assuming alarming proportions -- it is a national malady,'' said V.S. Sampath, former chief election commissioner. "It also shows how people are placing more faith on money than policies and programs." Politicians also give handouts such as petrol, free meals, umbrellas and torches to stay below the permitted spending limit by a candidate - a maximum seven million rupees, or the price of Jaguar's top luxury car model. These are on top of the publicly-declared freebies - from smartphones to WiFi, bicycles to pressure cookers - provided by the political parties as part of their campaign promises. 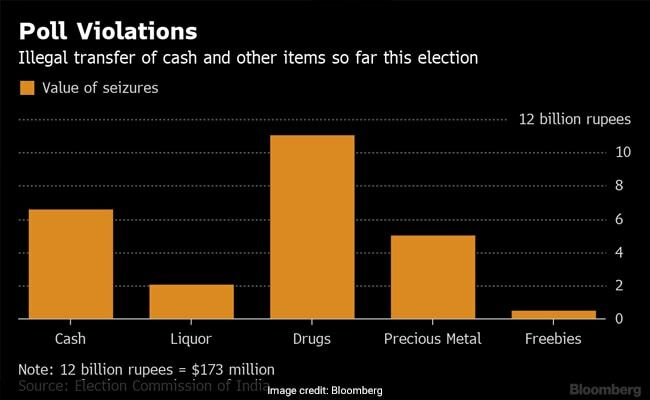 "The Election Commission is concerned about the fact that the abuse of money is increasingly becoming a major challenge," Ms Saran said. "Instances of violations have increased but at the same time the Election Commission has increased its surveillance." This growth in vote-buying also means a significant rise in election spending, making it the world's costliest election. Expenditure is set to rise 40 percent to nearly Rs 50,000 crore, according to Centre for Media Studies, a New Delhi-based non-government organization. "There should be moral and ethical awareness among the voters," said Mr Sampath. "The Election Commission alone can't solve it."